I am a Weight Watcher. I have been a Weight Watcher for years, having reached my goal weight about three times. Why have I gained weight back? Well, there are these periods of time when I stop following Weight Watchers. That seems to be a battle that I’ll be fighting for the rest of my life, much like most of us who are overweight. There are ways to be a weight watcher without being a Weight Watcher. What I like about the official organization, as well as wise nutrition advice, is that it doesn’t advise anything crazy. I read about diets that suggest you can give up one thing (sugar, carbs, fat) or you can change your lifestyle radically (fast, then don’t fast; eat lots of little meals) and this will result in weight change. It usually does, albeit short term, and there is often a health cost. The message of Weight Watchers is to eat a balance heavy in fruits and vegetables, whole grains, lean protein, and healthy oils. This is also the message of a diet based on Mediterranean cuisine, and Japanese cuisine, as well as the health guidelines suggested at MyPlate.gov. The coincidences get crazier. This is also the diet, with some slight variation, recommended for arthritis, heart disease, and cholesterol, to name a few things. Diabetes removes some of the carbs and focuses more on the veggie side of things, but again, there’s a lot in common with the Weight Watchers diet. This diet, along with drinking a lot of water, will help your body perform optimally. Of course, what you eat is only half of the puzzle. Portion size, or how much you eat, is also important. In our fast food mega-sized world, many of us have lost the feel of being satisfied. We are often glutted, and so, we have to work on portion size, as well as the kind of food we eat. How can you get started? You could become a Weight Watcher. This does count money. When my work isn’t sponsoring a WW session, it costs me $40 a month to use the e-tools and go to any meeting around the country. If you are a poor writer, you might visit MyPlate.gov, which is full of excellent advice and is free, OR Spark People, which is funded by an altruist who wanted to do something to help people be healthy, and is also free. All three systems offer support and information. Additionally, there are fun sites like Hungry Girl and Skinny Girl that support a healthy eating lifestyle. Men, the world of weight loss seems geared toward women, but Weight Watchers has special services for men, and My Plate and Spark People are mercifully gender neutral. There is another book you might want to look into, and that’s Intuitive Eating by Evelyn Tribole and Elyse Resch. A dietician recommended this book to me, and I found that it gave me a healthy relationship with food. That, and it helped me to work with hunger and portion size. There is website support for this book as well. And finally, it’s always worth checking out the Eat This! Not That! Series. I am not thin. I’d like to lose another 50 pounds, but that’s only if my thyroid meds and I hit it off further. But, I do exercise every day (see the Wii article) and I watch what I eat. Not religiously, but I make an effort to eat healthy. In the end, you are what you eat, and even if the calories of a candy bar and a chocolate malt are the same as one day’s worth of healthy eating, the fish, etc. is going to better things for my body. Also, have you tried to survive all day on a chocolate shake and a candy bar? Just sayin. Catherine Schaff-Stump kept falling into her stories. Early encouragement from family and friends helped her stay interested in writing. She also spent a lot of time reading, alternating classical books with fantastic fiction. An interest in drama only encouraged Catherine’s tendencies toward writing, helping her develop a sense of dialogue, drama, and plot. Catherine always knew she wanted to be a writer and a ____. The ____ changed over the years, from actress, to journalist, to translator, to teacher. 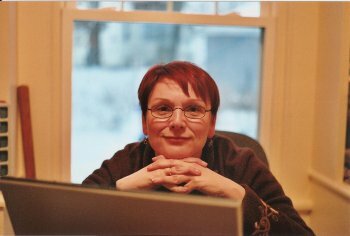 Catherine disappeared into academia for 10 years, receiving a doctorate in Second Language Studies and Acquisition, and began her career as a professor at Kirkwood Community College. After she had gained tenure, she decided to return to falling into stories. Next Post Necro-Tourism: Morbid meanderings or a deeper connection with the past?